There has been some major buzz generating about “Teal” organisations. It started with Frederic Laloux’s book “Reinventing Organizations”. There are some good videos on YouTube of Frederic talking about it and if you haven’t read it, you can easily get an overview. The buzz has been amplified by other conversations. One of the example organisations, the Dutch healthcare company Buurtzorg, has particularly inspired people in Europe. Founder / CEO Jos de Blok is also a regular speaker. Further boost to the volume has come from the publicity for Zappos. It appears that Zappos has not had an easy time with its push to get rid of bosses and its introduction of holacracy. Some employees have been paid to leave and there has been a lot of sceptical media attention, but then that is to be expected with a high profile organisation trying something new. Frederic’s book is inspirational, filled with stories and well-pitched to appeal to people with integral mindsets, supported by a foreword from the great Wilber himself. 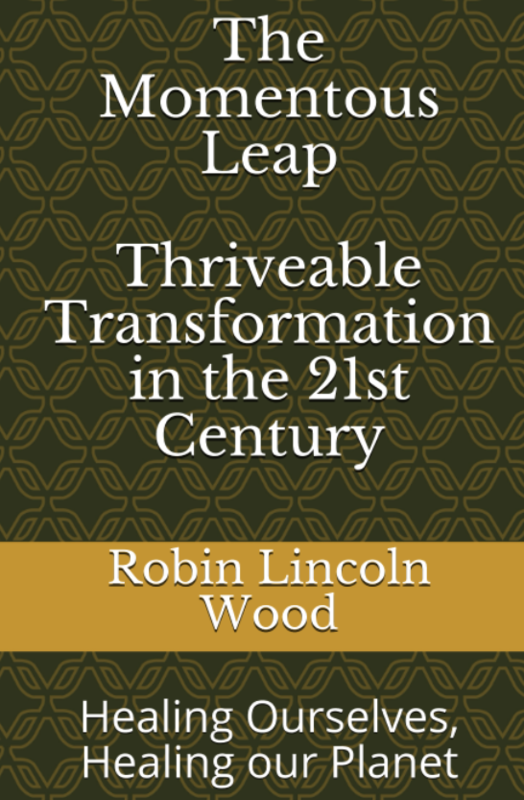 It uses the general progression from Amber through Orange and Green as its framework for organisational change, and presents the emergence into second tier and Teal; as the book’s strapline says it’s a guide to creating “organisations inspired by the next stage of human consciousness”. Frederic identifies three core practices that are characteristic of Teal organizations. He also describes some of the ways in which his exemplar organisations have dealt with some of the issues that may appear to be reasons why the old forms must be retained. Where do decisions happen? If you remove hierarchies, who is responsible? If you don’t have the conventional rules, what ensures that people do not abuse the system? If you don’t budget in the traditional ways, how do you manage finances? I will say more shortly about the three core principles, but I would first like to express the central intention of this article. What I am seeing in a widespread way, is the perception, or assumption that Frederic has presented the whole Teal picture. I have reason to believe that this is causing people to have oversimplified perceptions of what introducing Teal will require. That is not a criticism of Frederic’s book. He has a particular message and an inspirational task that would be lost if the book had attempted to become an implementation manual. The book is what it needs to be. Nor am I criticising Laloux himself. He is not an integral theorist. He is not steeped in Graves’ theory or Spiral Dynamics. He is using the high-level picture of stages of human development, and taking the colours as a useful mnemonic for his readers to work with. It is a brilliant start, but it can only be that and if we are to make good use of the opening he is creating we had better understand what else is required. Fortunately, there is a lot of the “what else” that is well understood. It is not yet widely known – certainly not as widely known as it will need to be – but it exists. Those who have interest in this arena of work, and anyone who wishes to support organizations with their journeys towards “Teal” will gain from engaging with this knowledge. My purpose in this article is to create something of a map for that endeavour. I will return to what Frederic says, in order to reveal what hasn’t yet been said, and what needs to be better known. Before doing so, a word needs to be said about the stages of development themselves, the relationship between Graves, Spiral Dynamics and Integral models, and how this affects our conversation about organisations. It also affects the use of colour schemes and some historical tensions between influential individuals. Here too, I intend no criticism, but I believe that it will help us to understand the territory better and to ensure we are using the right tools for the job that needs doing. The concept of “Teal” comes from a theory of developmental stages in which it is the seventh in a sequence that took humanity from its first hunter-gatherers (Beige) through tribes (Purple), (Red) warlord bands, towns and cities (Blue), to a technological-industrial economy (Orange) and the human-oriented response of modern social democracies (Green). The roots of that sequence are in the work of Prof. Clare W. Graves and they arise from many years of deep research into how people think, how they define their priorities, and how these evolve as their life conditions evolve. Graves also developed some related insights into the neurobiological changes that accompany the early stages of development. He called it a bio-psycho-social model, and the “bio” piece is not often mentioned. That theory evolved into “Spiral Dynamics”, which is when it received the colour mnemonics used above. Dr. Don Beck developed this with Graves and with the late Chris Cowan. Where most C20th psychological development theories were oriented towards the inner experience and cognitive shifts (Torbert, Loevinger, Kegan, Cook-Greuter, Maslow etc. 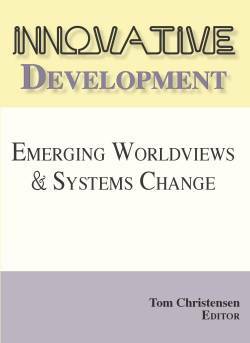 ), the exploration of Spiral Dynamics included wide exploration of the societal aspects of development, the exterior outcomes of shifts in human thinking and – most relevant here – organizations. In the core text that Beck and Cowan wrote are several chapters that examine how organizations change, how the different stages of development show up in organizational behaviour and how we can work with the complex mix of people and functions that are present in order to support their effective working and their continued emergence into higher-functioning stages. And then Beck met Ken Wilber, whose excitement with the Graves model initially caused him to call Spiral Dynamics the “Theory that explains Everything”. Spiral Dynamics became Spiral Dynamics integral, Chris Cowan and Don Beck parted company and the integral version became the brand that Don Beck still works with. The relationship that Graves recognised between values systems and life conditions mapped onto the Interior-Exterior sides of Wilber’s Four Quadrants. The Gravesian understandings of how humans oscillate in their development between self-expressive systems (the warm colours Beige, Red and Orange) and the self-sacrificing, collective oriented viewpoints (cool colours of Purple Blue and Green) were described through the “I and the “We” of the integral 4Q. This is not the place to discuss what might be right or wrong about Wilber’s view, but its consequences are highly relevant. Wilber went in a new direction and in doing so he changed the colour sequence. His new sequence was a rainbow of development from red-spectrum to blue-spectrum. Teal replaced Yellow in designating the seventh stage, also causing confusion with the SD eighth stage of Turquoise. This may seem a trivial shift but its impacts on this conversation are twofold. The first is that the SD understanding of the way that people manage the balance between individual and collective orientations – the warm-cool colour oscillation – was lost from the picture. 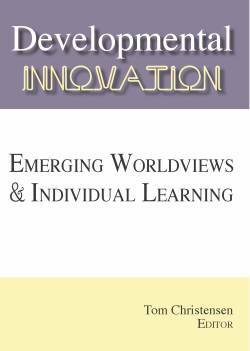 It gave way to a perspective which focussed more strongly on individual development aspects, emphasising the cognitive and experiential changes as described in depth by some of the other theoretical models mentioned above. It was also taken by some to appear as a “ladder of enlightenment”. Yellow / Teal became for many a state of being to be achieved. Also diminished was the evolutionary context, and the way in which people change in response to their life conditions, both real and perceived. Secondly a core element in the integration (ironically, central to the “integral” viewpoint) was de-emphasised. It is a crucial feature of SD that stages are not types of people. They are systems operating in people, often in complex mixes. A look at the Spiral Dynamics logo displays this clearly. Every stage contains all its predecessors. 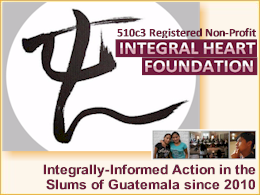 The integral model has this feature too, and calls it “transcend and include”. However there is a critical feature to the integration that Graves described which underpins why this “Teal” conversation is taking place at this time. It is also strongly relevant to the task of organisational change. In 1974 Graves described his view that humanity was preparing for “a momentous leap”. What he has seen in his research led him to predict that the shift between stages 6 and 7 would be different in character than all previous transitions. The complexity of the world would require an integration of all the first six stages in order for the seventh stage to address the highly complex, interactive and interconnected world that was on the horizon. This is the edge that we are now living on, witnessing and working with. This means that Yellow, or Teal, is not an entity or a stage in itself. It rests on the integration, balance, health, blend and articulation of all that preceded it. And this is where a challenge has arisen. Questions are arising that Laloux’s book does not address explicitly, and while he understands them, his readers may not. We are system creatures shaped by the contexts in which we live and work. For the most part we are blind to contexts (Top, Middle, Bottom, Dominant, Other…) and their impact on our consciousness (i.e., the way we perceive, feel, and think about ourselves, others, and the world) and our behaviour. Awareness of systemic relationships and dynamics (the patterns of relating) leads to more accurate sensing and responding. Oshry challenges us to recognise that we too often over-privilege the personal and interpersonal lens. He highlights that there are also other systemic forces shaping our experience which have little to do with the psyches or temperaments of this particular group of individuals, or this particular situation or sector. In Oshry’s own words: “To some extent, our experiences have nothing to do with who we are as individuals; to some extent whoever occupied our particular systems space would be experiencing precisely what we are experiencing. Fred: If we define Tops, Middle, Bottoms, and Customers, not as static boxes on an org chart, but as relational spaces or contexts, then they are still very much present. People just flow and navigate between these different spaces, including within the same day. So, on one initiative I am leading it, and I am in a Top space. Another time, somebody else is leading and I am just following; I am the Bottom. And in another situation, I might be sort of the Middle, somebody else is really leading the big picture of it, but I am designing some elements; I am coordinating some stuff. And what this brings I think, is an enormous relief for the Bottoms and the Middles, and also for the Tops! We tend to think that being Top is so great. We often underestimate the weight of the poor people at the Top of the organizations who constantly have to be Top, and can never relax into Bottom, where I can just follow. I will do my share, but I don’t need to be in a leadership position. Hierarchy isn’t abandoned at Teal; what is dismantled is the static form of hierarchy that is in the buttress of the org chart. The goal of self-management is not to make everyone equal, to have everyone having the same say on all the questions. It is really the opposite. It’s to have natural hierarchies, and to have lots of natural hierarchies. One aspect of the enthusiasm for Teal (Yellow) is the delight felt by GREEN[iii] in the lessening of BLUE / AMBER structural hierarchy and the accompanying shifts in ownership and reward models that may reduce ORANGE influences. Some people with this mindset have believed that Teal eliminates hierarchy, rather than recognising the more complex and subtle shift in hierarchy that Laloux is describing. Teal does not always change the structure, but rather alters the way in which the structure is being operated. I would like to take this one step further. Those who do not understand the integration and the fact that include is at least as important as transcend may view Teal as something separate from all previous stages – as if the world has made a quantum jump to a new state. This does not represent Laloux’ model and it does not represent anything else about the shift the world is making according to the Graves / SD perspective. If adopted, it is an error which makes it much more difficult to understand the challenges that an organisation faces in its journey to Teal, and impairs our ability to work within them or support them in their change process. There are still rules, as in “rules of the game. This is how we make decisions (say the advice process), this is who currently holds what roles and how we deal with assigning roles, this is how we deal with conflict. And you are only marginally forced to make more decisions than before – no one forces, say, a machine operator to step up to decide and buy his/her new machine. He/she can (which is a big deal) but must not. Some people can still work quite happily in pretty routine jobs if they want to. for Amber: here is the new set of rules and structures – clear and consistent. for Orange: it’s a new game, and here are the new rules. Have fun trying to be the best at the game. for Green: it’s a new game, where everyone can contribute, where no one’s voice can be denied. I clearly see how articulating something like this would be powerful. Clare Graves is often quoted for his strong expression “Damn it all, people have a right to be who they are”. Frederic’s indication that “He/She can” does not mean he or she must, recognises this. Many people have made a related mistake in their view that individuals on a developmental journey somehow become Teal / Yellow and that their first tier existence vanishes. That perspective is being projected onto organisations, not only in the expectation that a teal organisation will somehow lose all of its first tier values systems, but that somehow all the people in the organisation will also become Teal individuals. This is not how it works. Not only do people have the right, they will be who they are until and unless they choose to change. Many will change very slowly and many not at all. In “Reinventing Organizations” we see mainly the outcomes in the example organisations of what is possible when solutions are found to the first tier problems of existence. Each organisation has done this in its own way, using advice process, holacracy and many other techniques to deliver Laloux’ three breakthroughs – Evolutionary purpose, Self-Management and Wholeness. No two organisations are the same. Each started from a different position – some with established history, some like Buurtzorg, from scratch. Each has its own mix of people and its own business conditions. Is it obvious that the methods used by Buurtzorg could not be transposed to AES or FAVI? I suggest that it should be, and that this points to the questions we would need to ask and the aspects that we would need to know if undertaking the journey elsewhere. Inspiring as the book’s examples are, they are numerically a drop in the ocean and while we can see where they have got to, we have little knowledge of how they got there. Each organisation that sets out on the path towards teal / yellow/ flex-flow / conscious / integral / meshwork organisational existence will be unique. Each will start from where they are, each will set its own priorities – what changes to make first. Each will choose what tools and techniques to adopt, and in what order and each will have a unique experiential journey leading, hopefully, to its individual expression of fulfilling its purpose. The history of company change is in many cases one of finding a technique like Deming or Six Sigma and applying its methods. Here there is no bolt-on structure. Holacracy may be useful or may not. Teal is co-arising with a raft of approaches – Presencing and U-lab for example, and a range of authors opening up the pathway – Meg Wheatley, Peter Senge, Dee Hock among many. These are supported by many views of leadership; inspirational, evolutionary, conscious, resonant and more. There are valuable insights into how we think in terms of emotional intelligence, spiritual intelligence and polarity management and more arriving all the time. The underlying, less visible forces – the “invisible dynamics”[iv] are being revealed in systemic constellations and Deep Democracy. Day after day I find myself meeting with practitioners who have developed their skills in multiple approaches of these kinds. How do all of these exciting and potent possibilities relate to Spiral Dynamics and integral? Does knowledge of SDi contribute anything to this buffet? Does it support the evolutionary journey and offer any assistance in developing more “organizations inspired by the next stage in human consciousness”? For the remainder of this article I am intending to describe how and why I believe that it does. The GREEN stage of development is magnificent. It led us into the exploration of who we are, individually and collectively. It birthed psychology, anthropology and sociology. It began the dissolution of paralysing BLUE / AMBER structures and countered the excessively materialistic (both financial and scientific) emphasis of the ORANGE mind-set. It taught us about diversity, inclusion and consensus. It cares about the environment and challenges materialist blindspots. GREEN is co-operative, team-oriented and accepting and reawakens the human bonding that has been reduced in varying ways by all of the stages since PURPLE. During the ORANGE stage, alienation and loneliness become key human themes and twentieth century novels are filled with them; GREEN redresses this imbalance. It’s the Gravesian pendulum between “I and We” in full swing. TEAL / YELLOW is the next stage in human consciousness and it arises out of both the strengths of GREEN and its weaknesses. GREEN loses sight of the ORANGE strengths that built a world that can support more people in higher material standards and greater connectivity and mutual awareness than ever before. GREEN, as discussed, dislikes hierarchy and its emphasis on consensus can make in unable to embrace structure. It can also be confused about what consensus is, thinking that “our way” is “everybody’s way”, and while tolerant of race and gender difference be intolerant of diversity of opinion both within a group and beyond. In all of these challenges it may put emotions and feelings first. It may be so concerned to love the sinner that it fails to deal with the sin. It may put people so far above organisation that the organisation itself loses viability. The pendulum can swing too far. If we are not careful, TEAL can look, in presentation, like an advanced form of GREEN and it is essential that we grasp the distinctive quality of YELLOW. YELLOW is functional and pragmatic. It does not cease to care about feelings but it will not lose sight of the needs of the whole by denigrating other aspects of existence. The earlier references to Oshry and to the articulation of different stage needs points toward the essential aspect of YELLOW; it is systemic and demands the structural awareness that we previously developed during the BLUE / AMBER stage. It demands the material underpinning that was the strength of the ORANGE stage. It sees the need for individuality to be expanded as part of our collective expansion, not suppressed in a search for equality. It understands how to embrace the equality of human value without making anybody less than they can be. All of this is present in the RO examples, and it is valuable to understand how it shows up. TEAL does not eliminate AMBER. The challenge as we enter 2nd tier is to replace the old BLUE / AMBER with something that fulfils its original function of placing order and boundaries around the chaos of RED, but which also has the built-in intelligence and articulation to support the ORANGE and GREEN that have emerged since. Structure and process have to be smarter. We have to replace any dysfunctional aspects of ORANGE that are incompatible with GREEN, or that would seek to out-manoeuvre that newer and more subtle form of BLUE / AMBER. We need with a smarter ORANGE that is not blind to human or material interdependencies. And not to forget, we still need the Values of bonding and heroic individual empowerment that were present in stages 2 and 3 to be positively present. Even the survival stage should not be taken for granted. All six first tier levels are needed. The tier 2 integration is assisted when we are able to recognise how these dynamics are represented in both people and organisation. In practice, it is unlikely that an organisation will even think about the journey to TEAL unless it already has a significant portion of GREEN in its thinking systems. However, those higher systems may be more strongly present in the decision-makers than in the organisation as a whole. The earlier mention of Zappos, which paid employees to leave, may have been the right solution, but you might at least question whether greater anticipation of the difficulty could have opened the door to a less drastic response. I am suggesting that the ability to scan the organisation in order to determine the Values profile of the whole and of component teams and groups could be very helpful. It is also possible to scan the organisation for its readiness individually and collectively for change. There are many principles that come into play when we know what we are starting with. If the conditions for change are not established, we might begin to address those conditions before starting the change itself. Knowing, as we do, that a system is only capable of moving half a stage (e.g. ORANGE to ORANGE/GREEN) from its current centre of gravity enables us to pitch the next step in change at an appropriate level. Knowing the colour make-up of a team helps us to see who would embody the qualities of the next stage in such a ways to be the most capable change leader. Knowing the Values we are presenting to, helps us craft messages that are most effective for the audiences concerned. These suggestions skim the surface of what is possible when we use the deeper intelligence that sits within the evolutionary journey that Laloux’s book describes. There are some powerful examples from Dr Bruce Gibb[v] and Dr. Bjarni Johnsson of how this thinking has been applied at organisational and whole-society (Iceland) levels. These give much more insight than this space permits. Frederic Laloux has provided inspiration and strong indications, and has presented his narrative on the basis of the Graves evolutionary journey. There is more wisdom, power and depth available when we engage with the inner workings of that journey. There is a potential expansion to our personal and collective bandwidth in engaging with developmental issues, which affect every layer of our societal being, not just businesses. So is “Teal” the coming thing? Does the buzz represent something substantial? If Graves was correct in identifying evolutionary impulse and the inbuilt logic to how and why these values stages emerge, then the next stage will inevitably make its appearance. Since Graves’ time, the predicted conditions are highly visible and there has been plenty to confirm his perceptions. SD and integral practitioners alike have been applying this knowledge effectively in leadership development, helping executives to expand their perceptual bandwidth so that they can see the wider perspective. Barrett Brown’s paper[vi] on Conscious Leadership is a good example of the approach. He cites Kegan and uses the Torbert terminology for stages, more widely recognised in business circles but the logic is the same. Bandwidth and consciousness are the beginning however. As others like John Mackey[vii] have identified, systems intelligence and systemic thinking are also required. “Reinventing Organisations” takes us into that territory. We are beginning to see what is possible when we apply our knowledge of stages to the ways that companies work in practice – their processes, decision-making, structures and relationships. Laloux delivers us an insight into the potential and into the fundamental approaches that the three breakthroughs can lead to. We have the potential to go far beyond these beginnings. 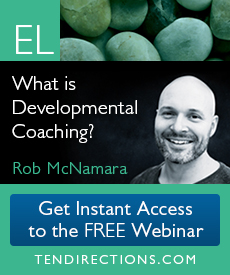 We can get into the inner workings and multi-layered dynamics of the developmental process in order to deliver faster and more effectively. Mackey’s Whole Foods used these insights as did South-West Airlines, with the support of Don Beck, to introduce radically different business models. It is a pity that we don’t have the detailed stories, but they are not new. The results are evident several years on and there is an explicit reason why Mackey’s book has a Yellow cover. Had Don Beck been more willing to collaborate, Frederic would have written about “Yellow Organisations”. The next stage is making its appearance; that is not in question. Still open, however, is how much more can be done and how fast it can be mobilised? Can we can collectively deliver the sustainable future that these new ways of thinking and operating offer to us fast enough to avert total collapse? Graves’ own predictions did not, as he presented them, guarantee a successful outcome. The dynamics are inevitable, not the results. One possibility that he foresaw involved significant reductions in humanity’s numbers. Humanity entered BLUE /AMBER at many times in many cultures but not all of them maintained that upward movement. He described our conditions, our challenge and our opportunity but it has to be grasped and acted upon. These shifts will also happen faster and meet less resistance when we change our collective thinking about what money itself is, and reinvent the capitalist structure itself to embed businesses in new ways of financing, governance, ownership and control. Jon Freeman is a generalist in an age of over-specialisation, with a passion for the big, overarching, systemic picture of our world. He is Spiral Dynamics thought leader and trainer who applies this knowledge in organisational reinvention. 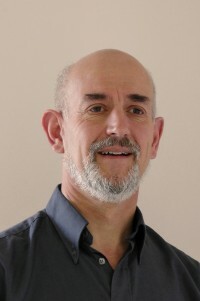 As the visionary futurist author of “Science of Possibility” and “Reinventing Capitalism”, his passion is to change our collective understanding of reality through new perspectives on how science and spiritual experience connect, how to make money work for humanity and how our organisational and societal systems can function more sustainably, humanly and effectively. [iii] Descriptions of colours in this mode are intended to depict individuals and groups who have this way of thinking as their core Values system centre of gravity. This is a simplification that may appear to contradict the statement earlier “NOT types of people” and must therefore be read with caution. I am using both SD and Wilber colours where these are different. Thanks a lot for sharing your clear view. This ‘teal’ thing needs real stewardship of SD and it feels you are one of them. Yet, it is great to be alive in an era which Graves only could dream of….moving into 2nd tier and next level of consciousness. Well done, jon. Many times I have had the idea to write the territory around Teal, and am so glad you did it first. Done with impeccable respect, artful integration of the two mnemonics, clarity re history, and a clear map for solving problems a solitary Teal focus is oft going to surface. any of Richard Strozzi Heckler’s work on embodying our values under pressure. A particular pleasure to see and feel the voices of George Por and John Watters in here – good friends and colleagues. Thanks so much for this, hope to get to learn more from and with you. Thank you Jon, great article. My limited understanding of SD und RO leads me to the idea, there there might be a fairly widespread confusion of states. Yellow is the second tier beige, and in beige it is about survival, and there isn’t really any organisation. Same is my perception with yellow – we must not forget that yellow is in reaction to green – the level that took the ‘we’ too far. Yellow seems to be about sourvival without any we, really really being on one’s own. The typical yellow people out there in the business world are ‘every woMan for hirself’. Many of them seem to have an organisation phobia. So typical yellow organisations out there are awaaz and anonymous – not much of an organisation at all. And on a daily breadwinning level the are freelancers, entering short term contracts at the max, or clustering in loose groups of all self employed professionals, often not even developing a common brand, avoiding to even hire a secretary. They are maxed out with taking responsibility for one’s own survival, and strongly dislike the idea of ‘being responsible for someone’. On a peer level this still allows for free cooperation networks, but in lack of alternative models of sharing work of quite different levels of skills they outsource rather than hire. So the teal organisations of RO are IMHO more turquoise than yellow. Teal the way I grasp it is definitely a ‘we’ level. Teal organisations utilize a mystic quality (organisations as manifestations of an independent higher consciousness) that comes from 2nd tier purple. It is about collaboration rather than cooperation. It is the yellow individual growing beyond it’s singularity joining hands to serve a higher evolutionary purpose. The very advice process ‘we know better than any I’ is IMHO a clear sign for a ‘we’ level. Hello Georg and thanks for your comment and your deeper questions – though I don’t agree that much with your take on Yellow / Teal. Yes, Yellow does resonate with Beige, and it is an “I” system to some degree, but the characteristics change significantly between first and second tier. Firstly 2nd Tier has experience all of the first and is integrating their perspectives. In that sense there is no such thing as pure Yellow or Teal because even though the emphasis is not collective, Purple, Blue and Green all sit within. And survival has become not merely individual survival but the collective survival of humanity taking place from a perspective that recognises interdependence. The description you give of “every (wo)man for himself” is either still heavily influenced by Orange and not yet balanced (so not sustainable) or it is the chameleon quality of Yellow in evidence, with a rather different take on how to work collectively.